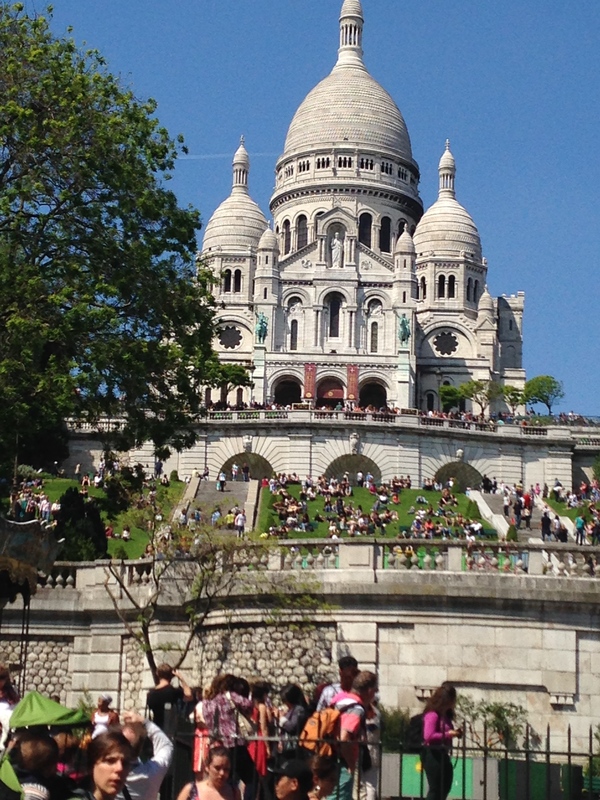 The beautiful cathedral of Sacré-Coeur can be seen from many places in Paris. It is high up on a hill in the north-western part of Paris. It is part of the Montmartre area. You can walk or take the Metro. There are a lot of stairs to climb (or take the funicular). There are many landings to stop at, catch your breath and look at Paris. The cathedral is magnificent. Walk around and behind the main altar to see many smaller altars. From outside the church go all the way to your right (facing the church) and you can see the Eiffel Tower. Don’t miss a small chapel in a separate building behind the church. Ring the bell and ask the nun to see the chapel. There is also a beautiful meditation garden outside the chapel. From here proceed into Montmartre. 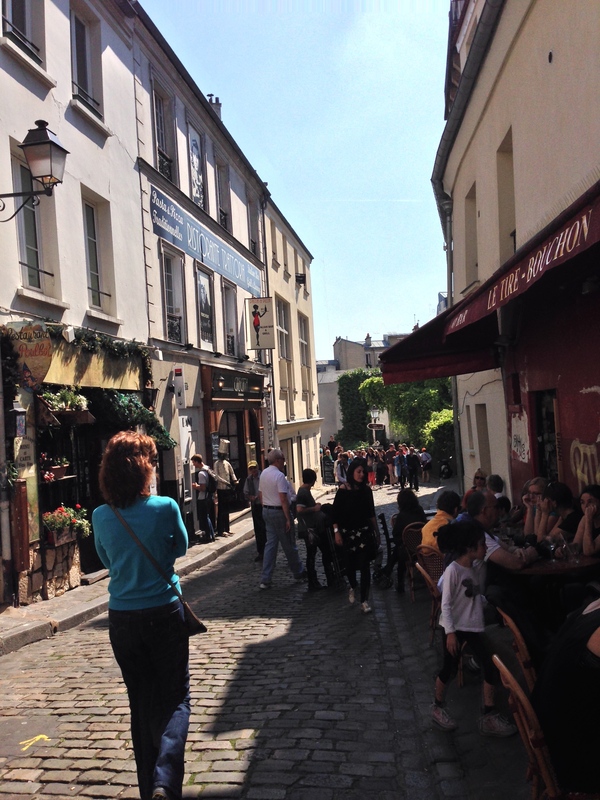 This area of Paris is an artist colony. It has many small windy streets with art, souvenirs and cafes. 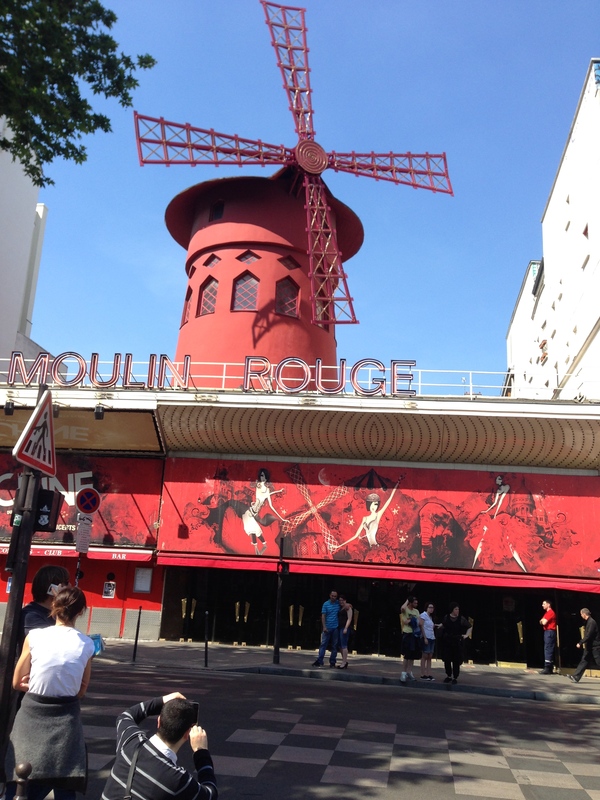 You can wind your way downhill to the Moulin Rouge (red Windmill). This is a very expensive and touristy area that has burlesque shows featuring the famous French can-can! You can catch a Metro from here and go anywhere in Paris. Enjoy!